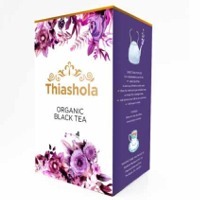 Browse black-tea suppliers by country and region. Short on time? Let black-tea sellers contact you. Tdk Trade Links Pvt Ltd.
All types of organic indian tea, black tea, white tea, green tea, oolong tea, flavoured tea. Tea: packaged tea, green tea, black tea, white tea, silver tips, oolong tea, pu'er, matcha, kabusecha, sencha, gunpowder, loose leaf, CTC, orthodox, organic(all grades), tisanes: hibiscus, passionflower, jasmine, rose, herbal teas. "Susen" Brand Pure Ceylon Tea (BOPF) Broken Orange Pekoe Fannings is the most common grade in Sri Lanka and comes as neat, fairly clear and smaller tea leaves. Susen Brand quality assured range of BOPF contains no dust and is true to its grade. The BOPF range falls into the category of High grown and medium grown tea, hailing from the centre of the countrys hills, grown at an elevation 6000ft to 2000ft above sea level. Given the high elevation at which it is picked, the tea is bright in colour and greater in flavor and freshness. The rare and refined quality of the taste easily sets the tea leaves apart from low grown varieties. BOPF is much sought after for its unique taste and is commonly exported to China South Africa, Australia and the Europe. 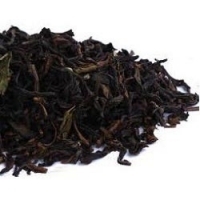 Black Tea BOP is renowned for its distinctive smooth flavor, pronounced taste and wonderful aroma and are widely used on many blends. Grown between 3000 and 5000 feet above sea level in the Uva Province *high grown)on the eastern slopes of the Sri Lankan massif, it can also be enjoyed on its own during the quality season from July to September each year. The gift of natures cold, dry winds help produce the exclusive tips these copper-colored teas are loved for. Sitani Office Equipments Pvt Ltd.